To help you design your perfect laundry, here are 6 awesome laundry renovation ideas to get you started. Keeping your units and walls a single colour will help to create an illusion of more space. This is great for smaller laundries and white is the most effective colour for this. Adding some colour or a patterned floor can help break up the starkness if it’s too monotonous for you. This turns your laundry into a feature room and is a great selling point. Adding a vertical sliding drawer alongside your washing machine is a nifty use of space. Use it to keep all your laundry detergents, cloths, pegs, and whatever else you need to access regularly but don’t want to have on permanent display. Summer is great for hanging washing outside, but come winter, it’s a different story altogether. Drying racks are great, but traditional ones take up so much floor space and often make it almost impossible to safely navigate in and out of your laundry. There are heaps of clever ways to add drying racks to your walls that are ready to pull out or down at a moment’s notice. 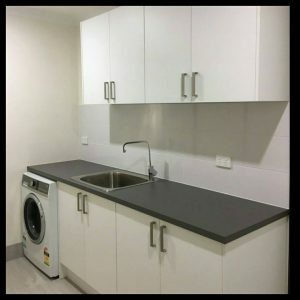 Many standard laundry rooms in Perth homes have an inbuilt cupboard but rarely do they ever enclose them with a door. Adding a sliding door onto your floor to ceiling laundry cupboard will instantly brighten up the room and make it more attractive. No more messy shelves on display! Depending on the current design of your laundry, you could also look at saving space by adding a sliding door instead of a traditional door to the entrance. Talk to our laundry renovation specialists in Perth today to see what we can do with the space you have. Just like the drying racks, ironing boards can take up a lot of space when in use. While renovating your laundry, think about how to incorporate an inbuilt ironing board, which folds out or slides out, ready for you to use as and when needed. 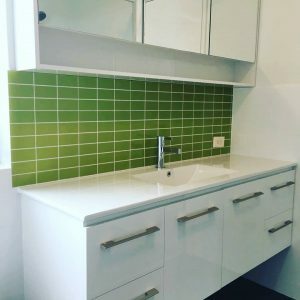 If you want to keep things mostly neutral but add a design feature that catches the eye, a coloured or metallic splashback can achieve this beautifully. Metallics and bold colours work really well with whites, keeping your laundry looking pristine but trendy too. 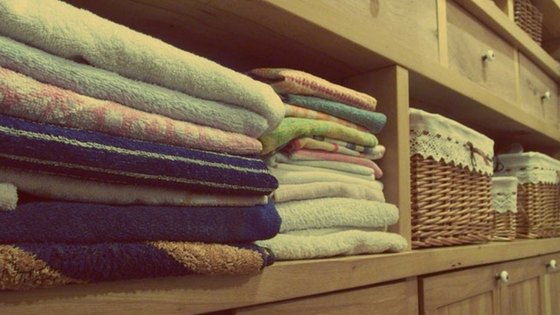 Need some more laundry renovation ideas for your home? Speak to our plumbers in Perth today! We love helping our clients to design the perfect laundry for their homes and can help you discover some laundry renovation ideas that you may have never even knew were possible!